Smith Gray Electric Company is a closely held corporation headquartered in Columbus, Georgia. Founded in 1946 by the late C.P. Gray and John F. Smith, the company continues to be the leader in providing the area's industries with innovative cost effective ideas. Areas of service covered include: electrical automation, sales and service of electric motors, electronics repair and industrial electrical construction. 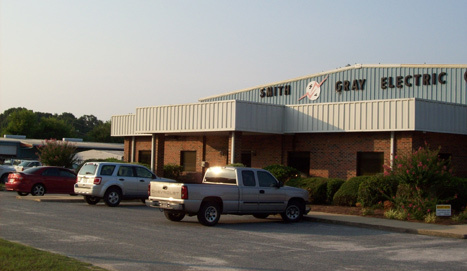 Smith Gray has been under the leadership of Paul Gray since 1973. He is a state licensed electrical contractor in Georgia, South Carolina, North Carolina, Florida and Alabama. The company has expanded into many new areas of repair while growing systematically in service and productive capacity. As a member of EASA, you can be assured that all electrical repairs will be undertaken with an eye on the utmost in quality. The company is fully insured in all areas, including general liability, automobile, worker's compensation and umbrella coverage. Certificate of Insurance will be furnished upon request.